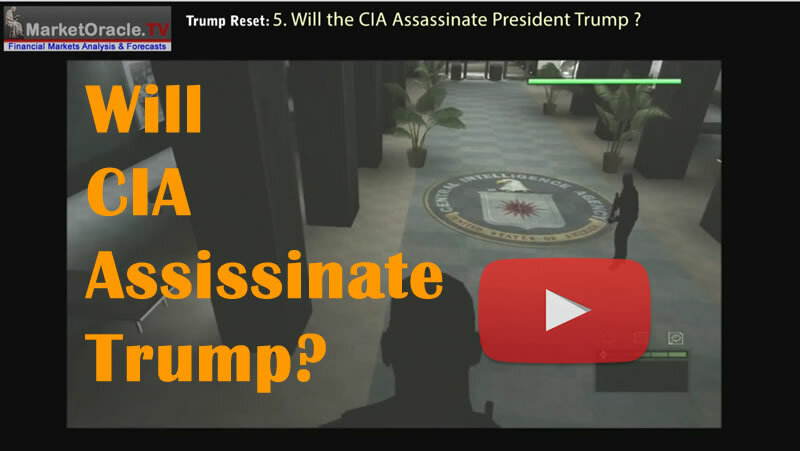 Donald Trump will be sworn into office at 12 noon today to become the 45th President of the United States that will trigger the 'Trump Reset' on that which has passed for the past 40 years, which my video series seeks to detail the key mega-trend geopolitical consequences of why the US under a Trump Presidency is trending for instance towards an inevitable war with China, economic, cyber and even outright military conflict, something that is deemed to be impossible by most today. For a taste of what to expect during the forthcoming chaotic Trump Presidency, as he repeatedly presses the reset button on that which has gone before, regardless of whether his actions make any sense to most people i.e. 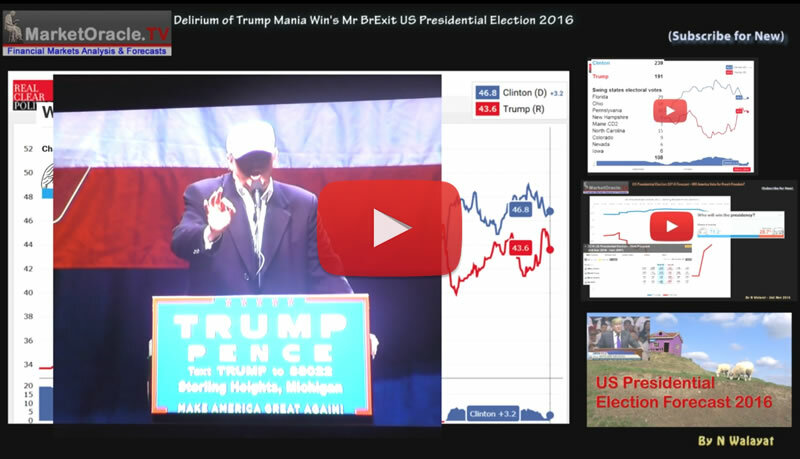 promising to cut taxes AND increase spending, then see the videos published to date under the 'Trump Reset' series. 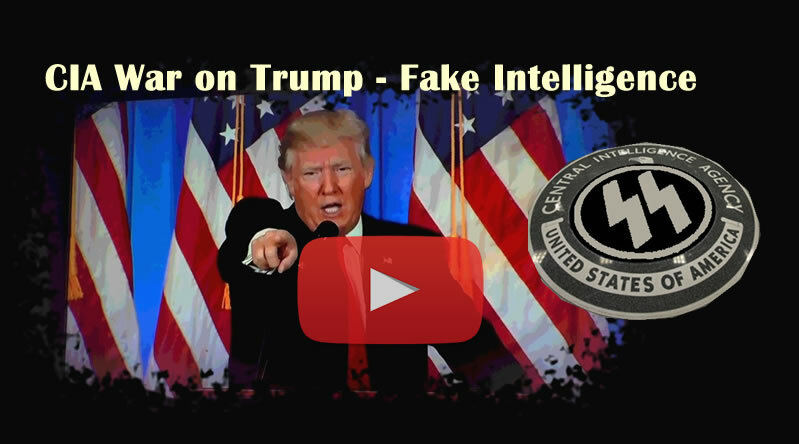 My most recent video raises the prospects of the risk of President Trump going against the interests of the US military industrial, intelligence and corporate complex, such as being friendly towards Russia and dismissive of NATO and US intelligence that risks the CIA moving once more to remove a 'rogue' president from office, the last being 1963.